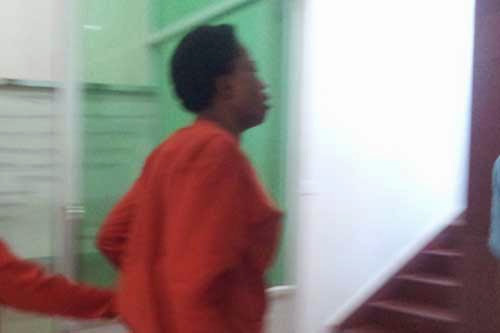 A Cambodian Municipal Court yesterday June 11th sentenced 36 year old Nigerian woman, Collin Seniola Bosede to 25 years in prison for international drug trafficking after being found with 1.5kg of methamphetamine in her bag at the Phnom Penh International Airport in August 2013. Bosede, who was travelling to Cambodia from Nigeria on August 4th made a stop at Qatar where according to her confessional statement, she met with a Canadian man named Amad who handed her a bag containing cassette players, the drug, clothes and a laptop and asked her to give it to an unidentified man in Cambodia. She was arrested as she landed at the Phnom Penh Airport. During her trial on May 27th 2014, Bosede said she did not know the bag contained any drug as what she saw was only the laptop and the clothes in the bag. As the court read the verdict yesterday, she began crying. "It was very unjust. I was not the drug trafficker. Please release me. I want to go back home,” Bosede said.